Whew! Blogger was giving me some issues this morning, but everything looks to be up and running again. I take a little bit of an issue with the name of this dish. The original name is "blink of an eye rhubarb pie." The "blink of an eye" part is accurate, because it does come together in about 2 minutes, but the "pie" part is a problem. Granted, the dessert is baked in a pie dish, but it's not really a pie at all. I would describe it as sort of a soft, cakey, meringue-y dish. 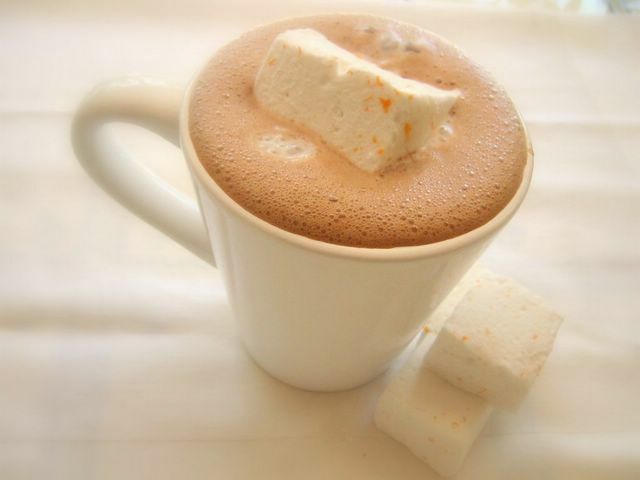 I would also describe it as delicious. I 'm guessing that the name came about because of the cute rhyme between "eye" and "pie." So, even though it disrupts the flow of the name, I would rather call it a cobbler because it is definitely not pie. The dish is really light and adaptable, because you can use baking apples instead of rhubarb, if you'd prefer. The cobbler comes together in seconds, all in one bowl. I almost couldn't believe how easy it was! 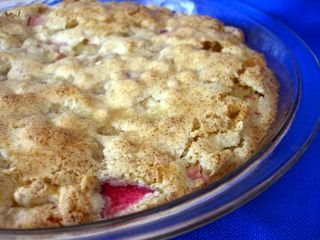 The rhubarb gets soft and sweet as it cooks and the cobbler part stays moist and soft, rather like the cakey part of a pudding cake. Unlike pudding cakes, however, the top of this dish is sweet and crackly, like a meringue. I'm getting hung up on names here, so let me give you the bottom line: it's dead easy and it tasted great. It's the perfect thing to whip up on a weeknight. Serve it warm, shortly after it comes out of the oven, for the best flavor and texture, although it's not bad at all for breakfast the next day. Don't refrigerate it, or you'll lose the crispness of the top.